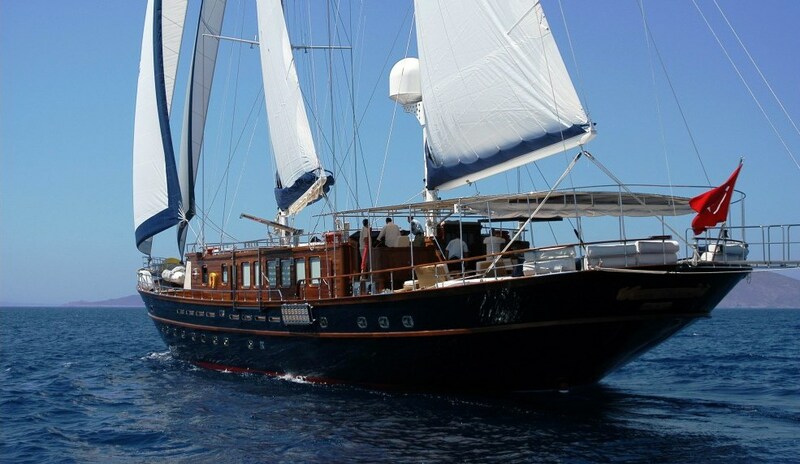 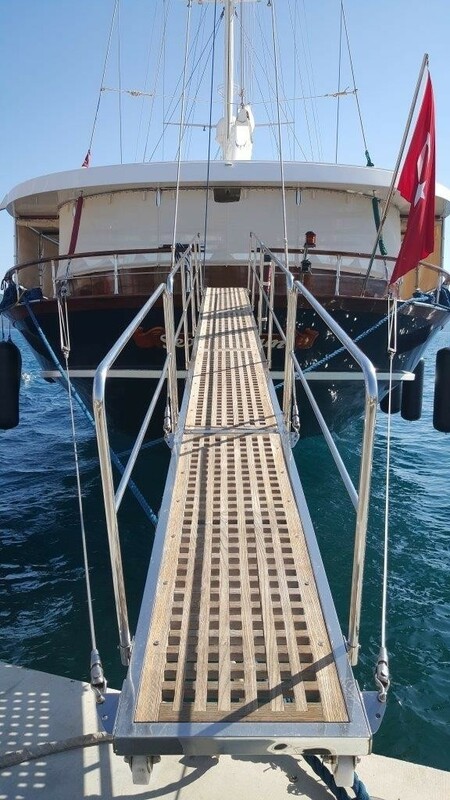 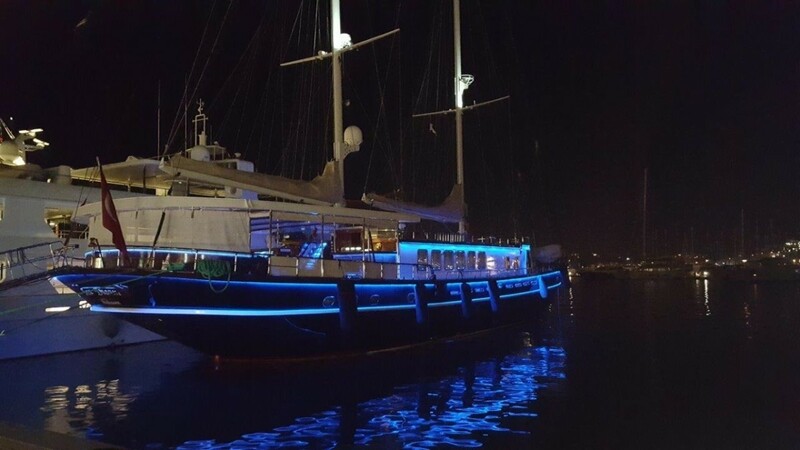 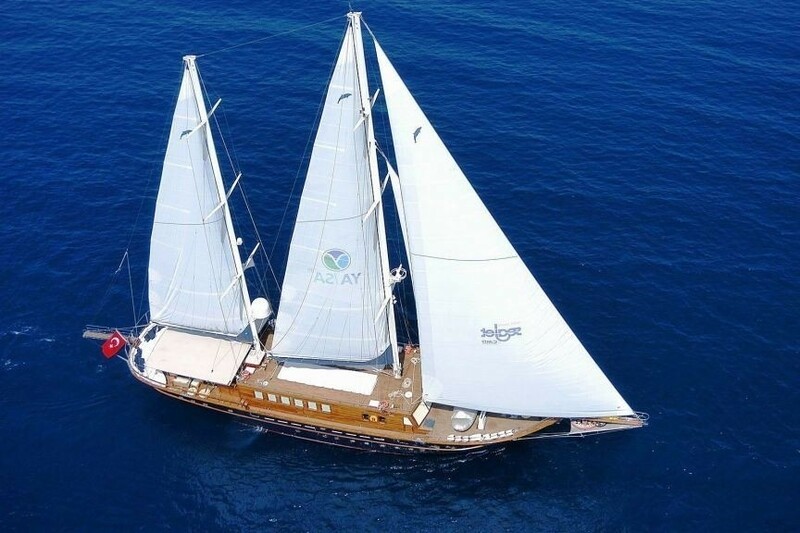 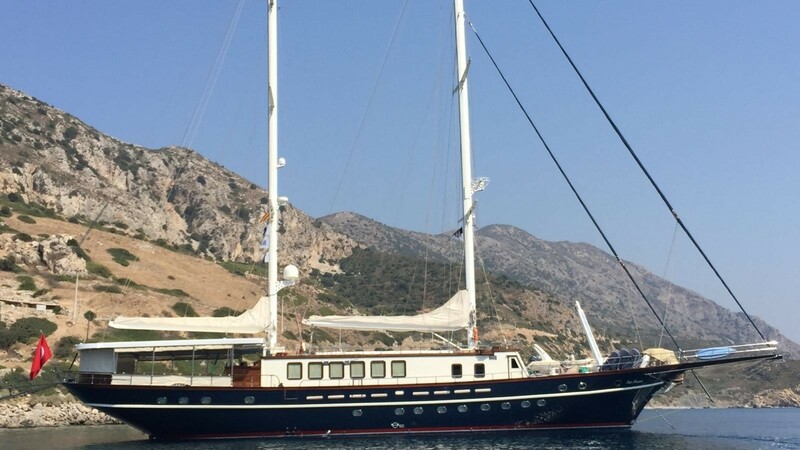 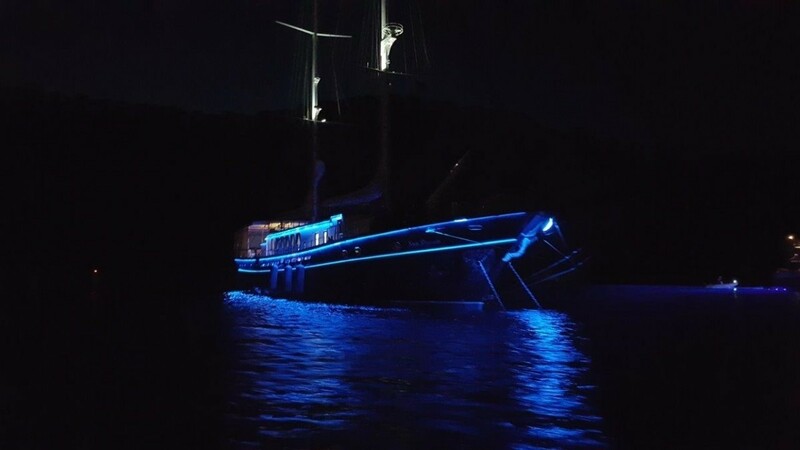 Luxury sailing gulet SEA DREAM was built in 2005 by Aegean Yachts of Bodrum Turkey and measures 39m (128ft) in length, her naval architecture is by Yavuz Mete. 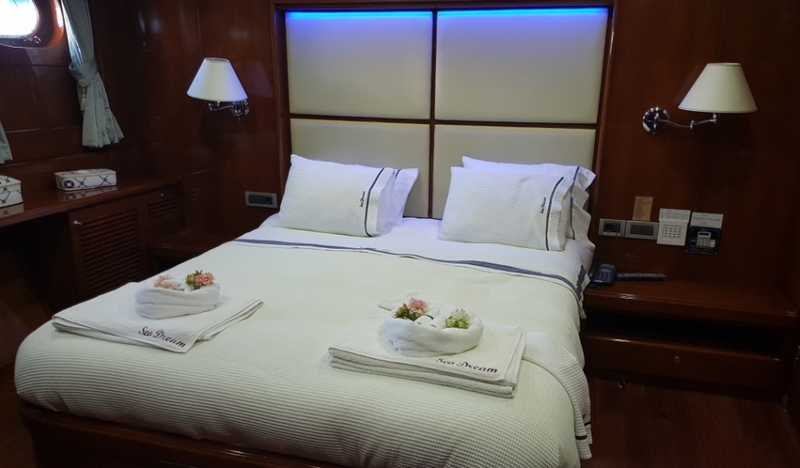 Sheoffers accommodation for up to 10 charter guests in 5 spacious cabins, each with private en-suite facilities. 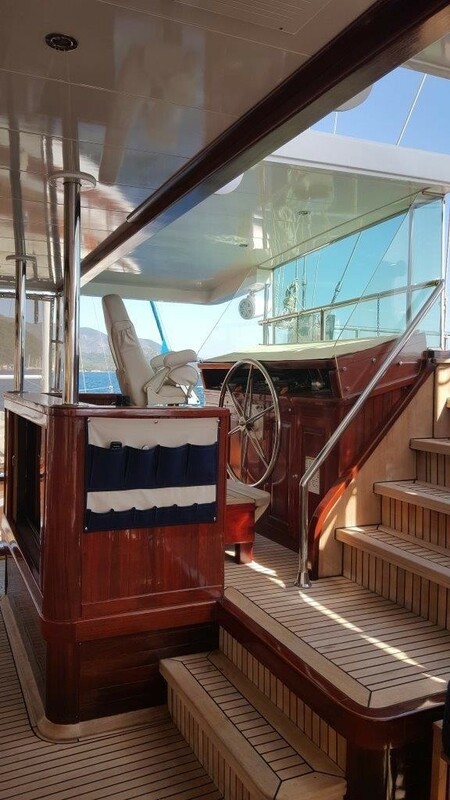 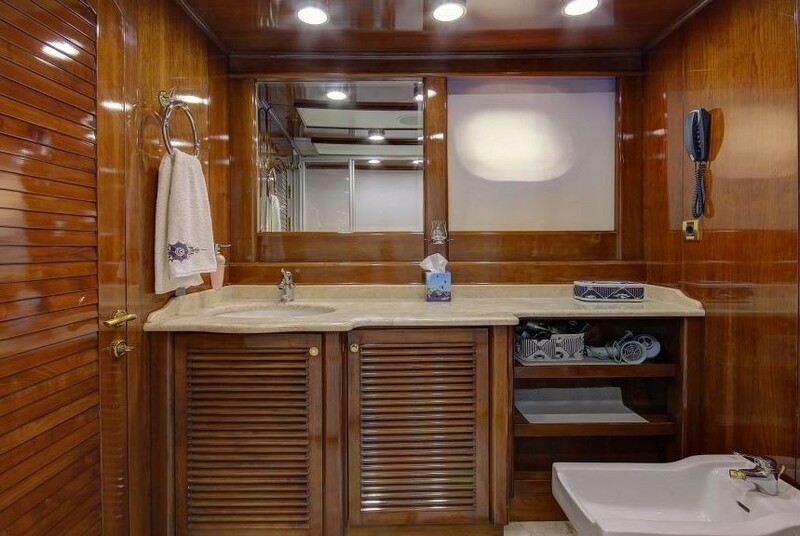 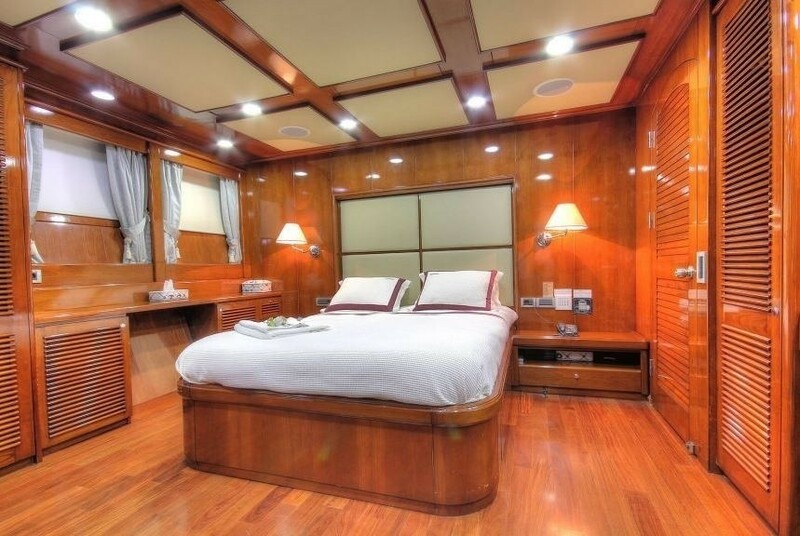 The motor sailor SEA DREAM has a warm interior décor of high gloss mahogany woods and neutral soft furnishings. 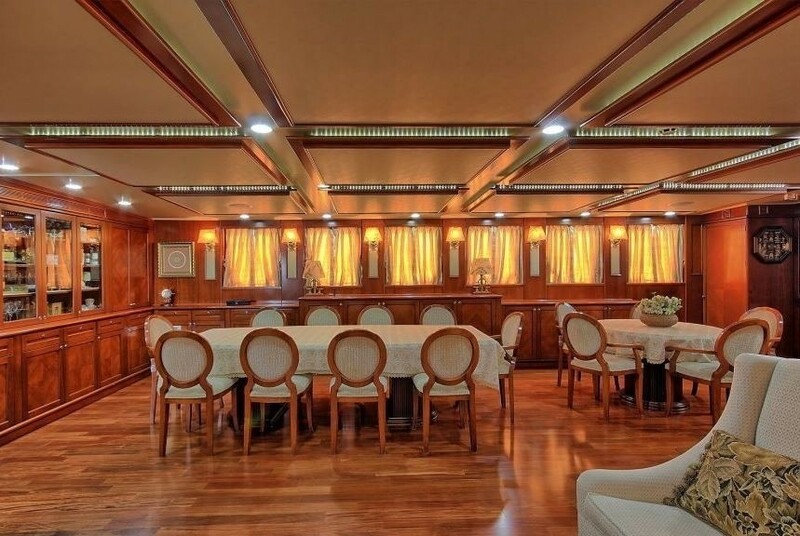 The main salon is in a raised position, featuring surrounding windows, a large sofa, occasional chairs, coffee table, wet bar and games table. 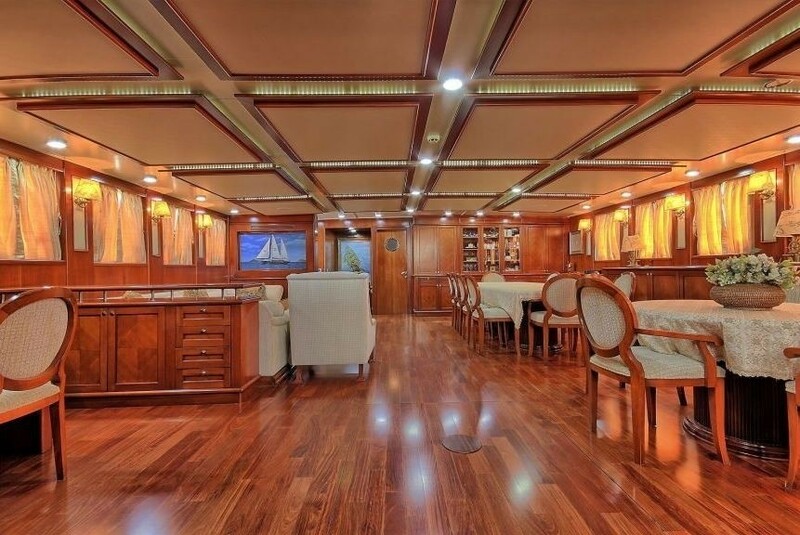 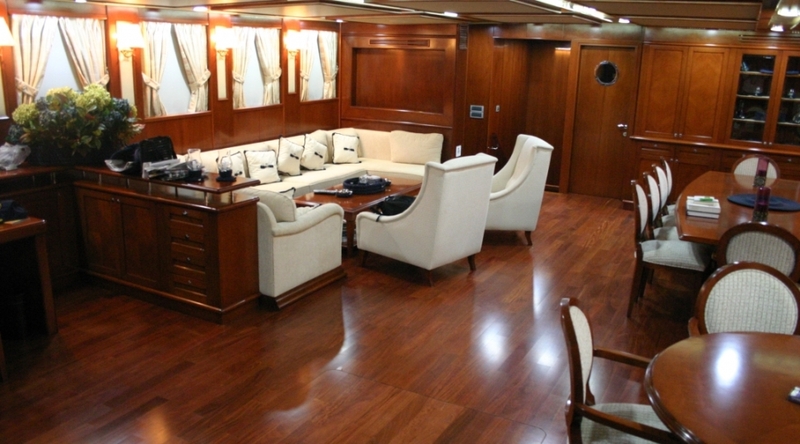 Below decks aft is the full beam master cabin, while forward are a further 4 guest cabins. 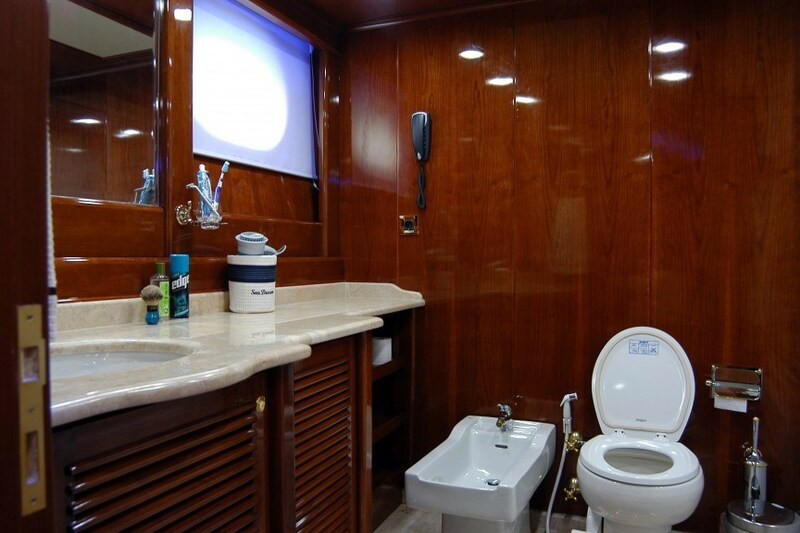 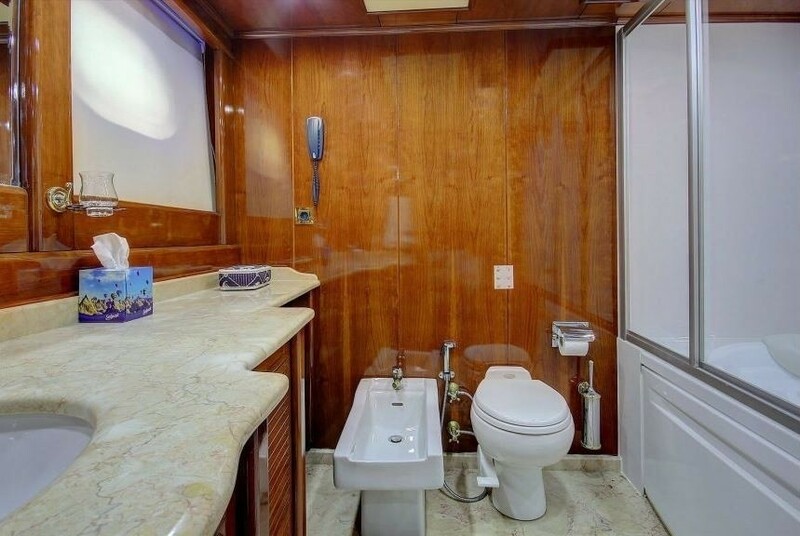 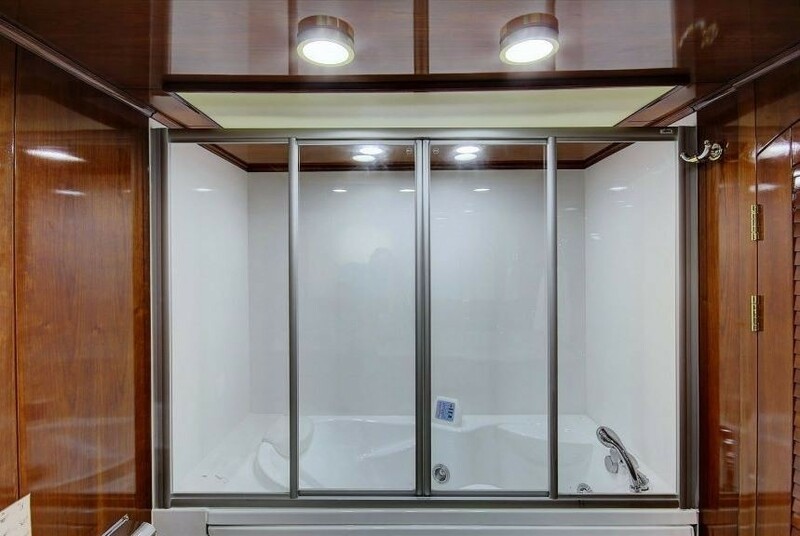 Seven professional crews have separate quarters, ensuring optimum privacy. 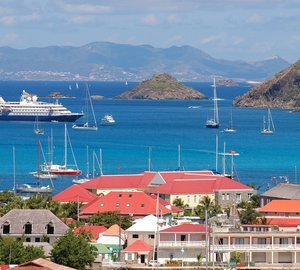 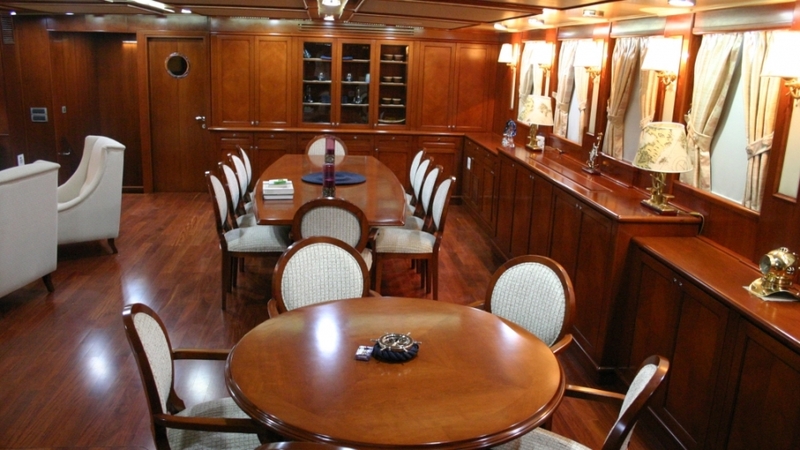 Charter yacht SEA DREAM is fully air conditioned throughout. 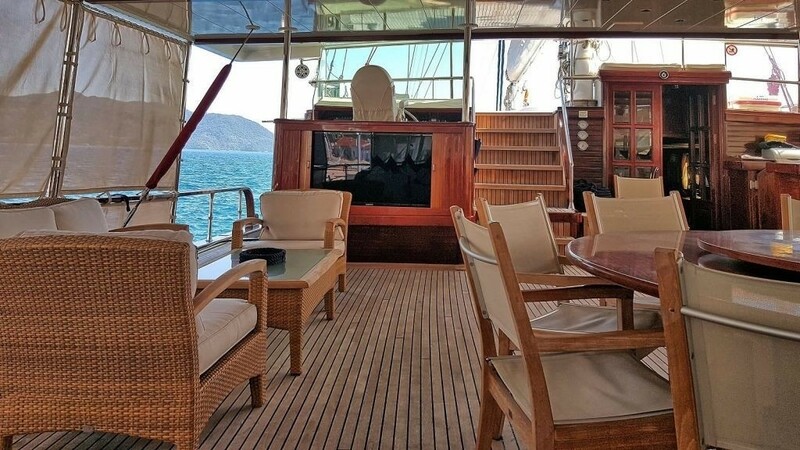 She has plenty of exterior living on luscious teak decking. 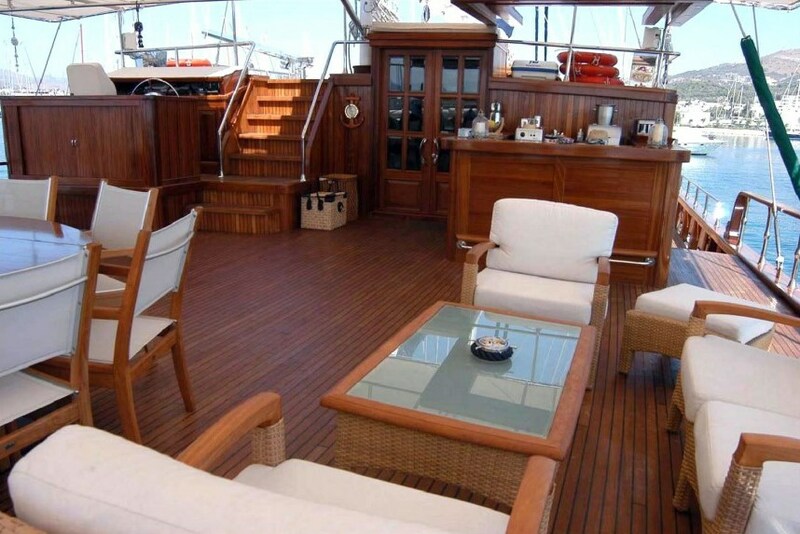 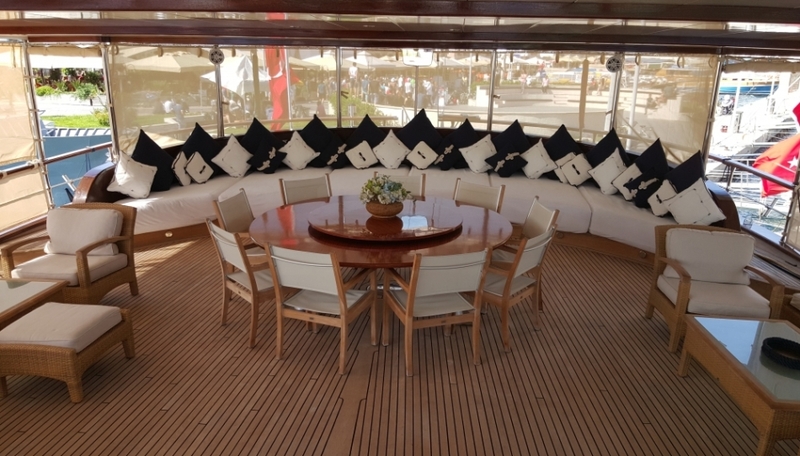 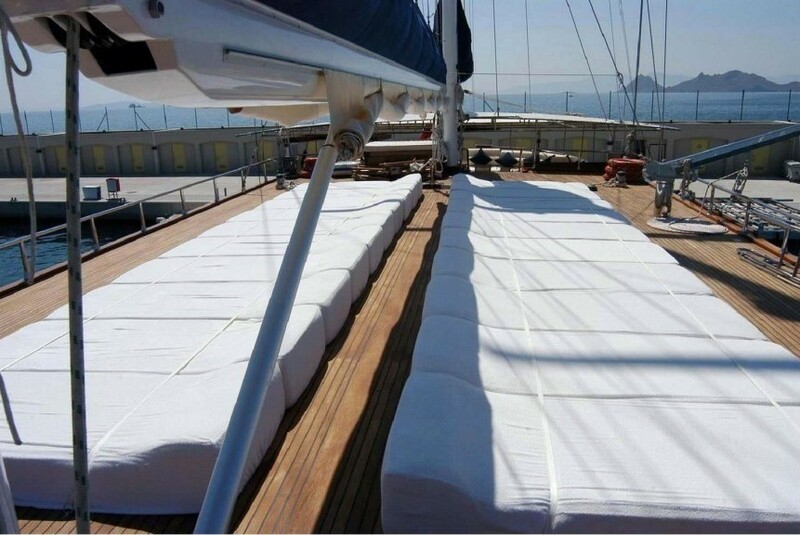 The aft deck is shaded and boasts ample seating, a large sunpad and an alfresco dining option. 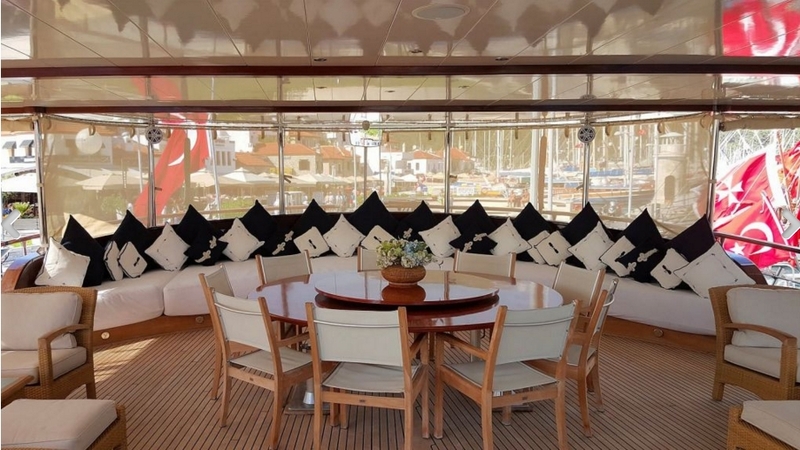 The yachts wide 9,5m (31ft) beam and wrap around 360° decks, provide easy access to the spacious foredeck, where on the raised cabin house is an abundance of comfortable sunpads. 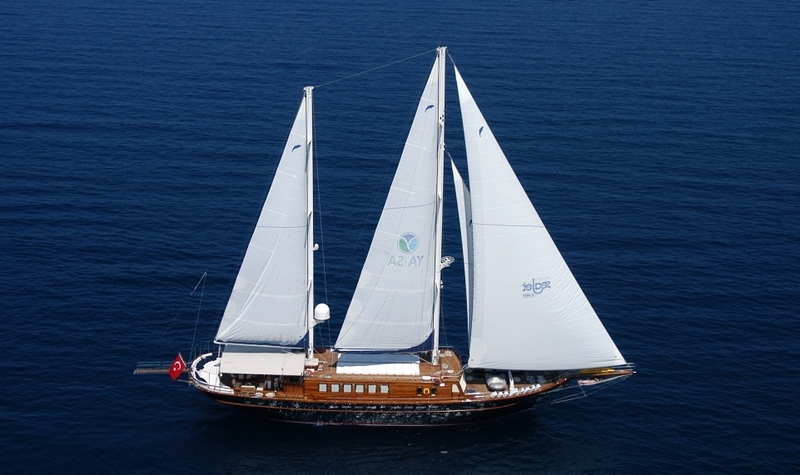 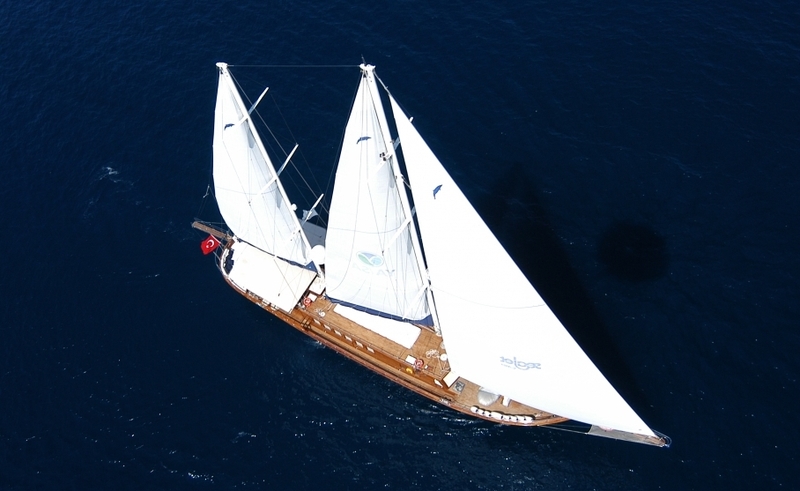 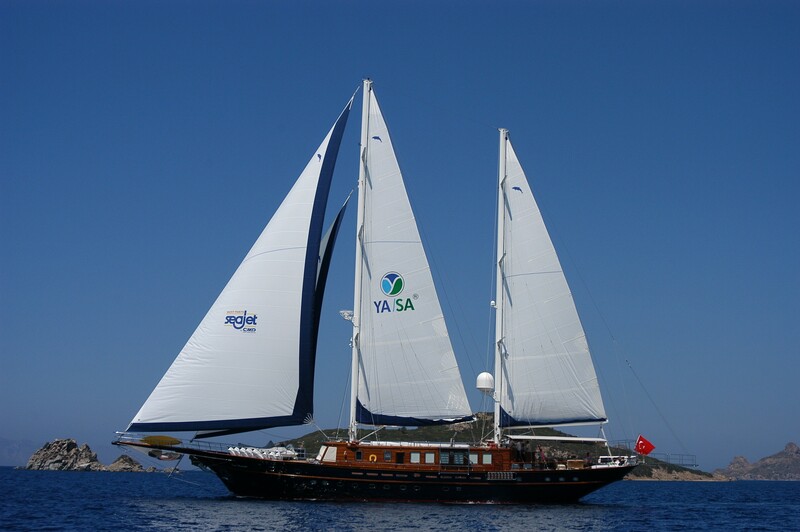 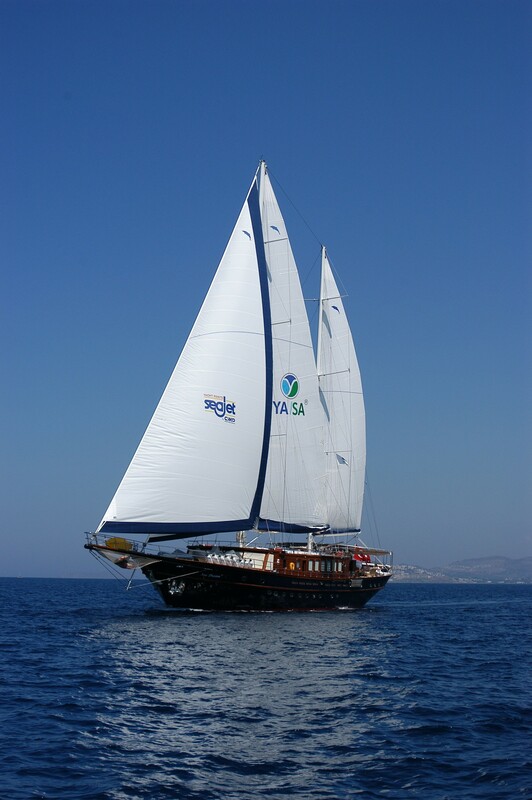 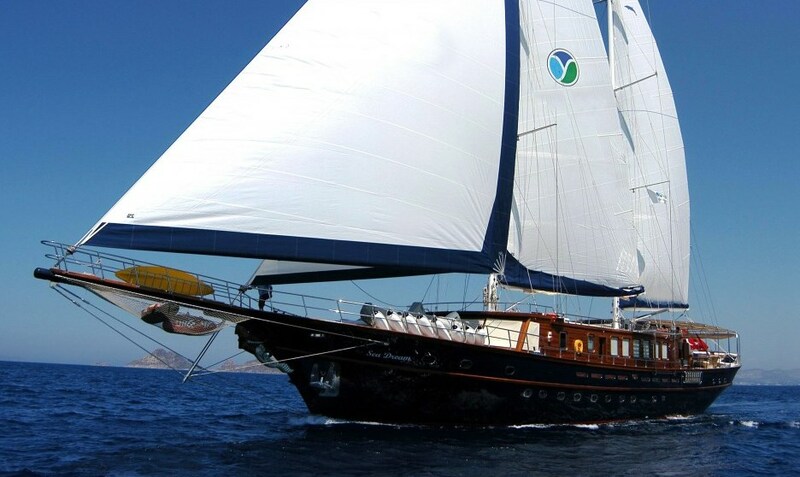 The Aegean Yacht sailing gulet SEA DREAM is powered by 2 x MAN 675hp engines, with speeds of 11 – 12 knots underway. 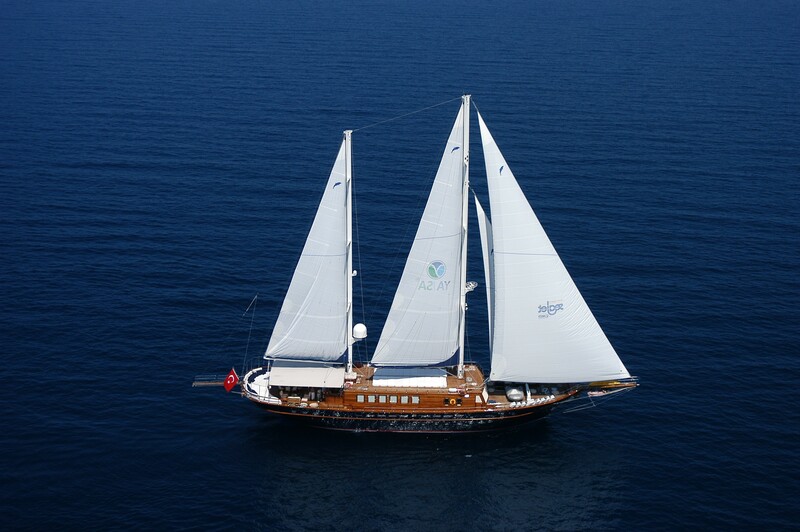 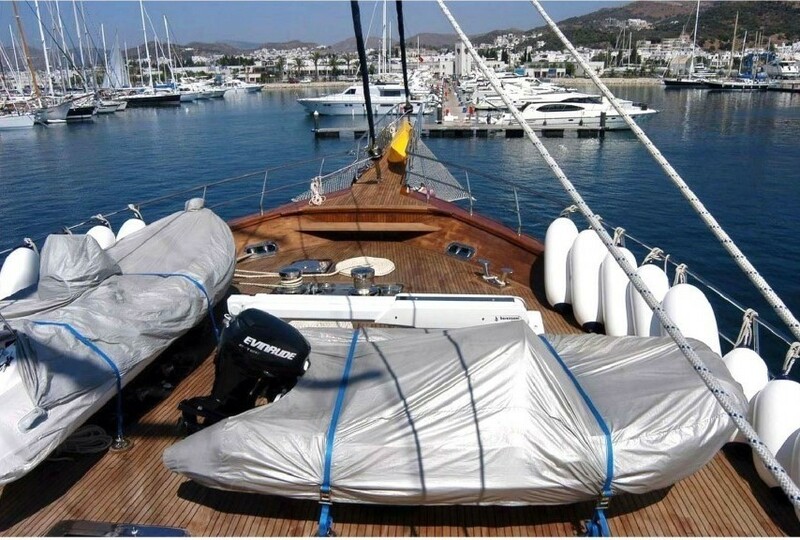 The yacht has a ketch rig and draft of 3,9m (12,7ft). 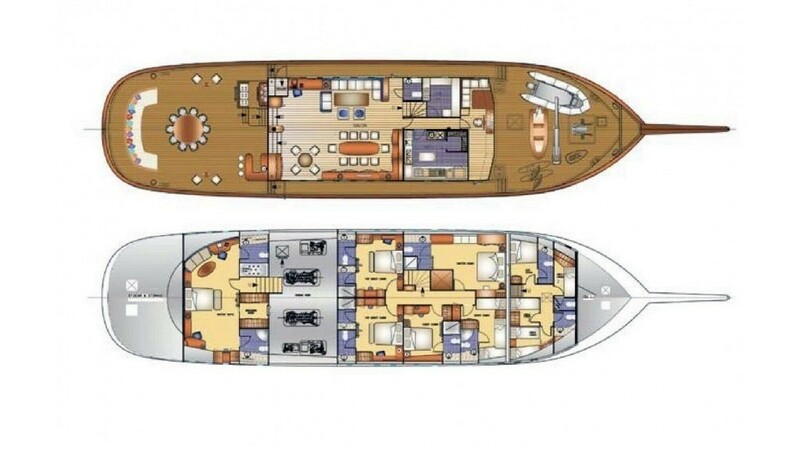 Luxury charter yacht SEA DREAM can accommodate up to 10 guests, in 5 cabins. 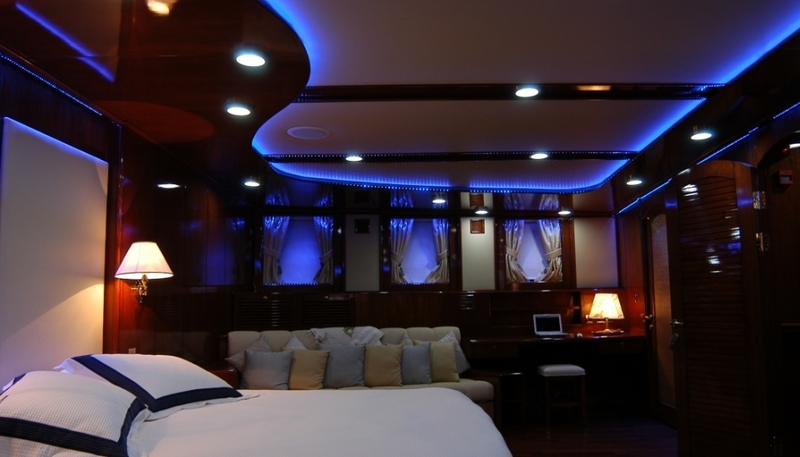 All guest cabins are en-suite and fully air conditioned. 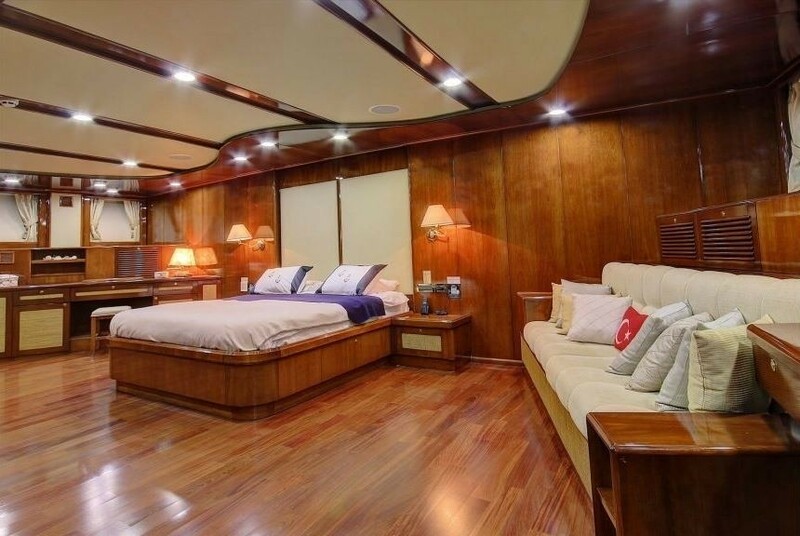 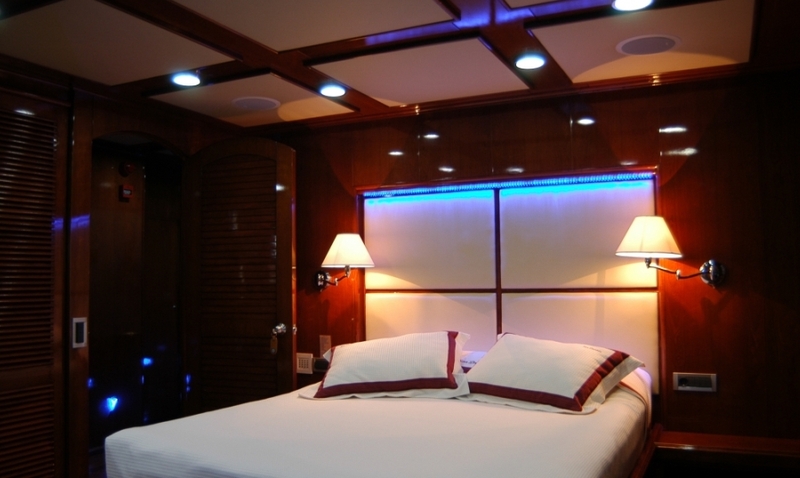 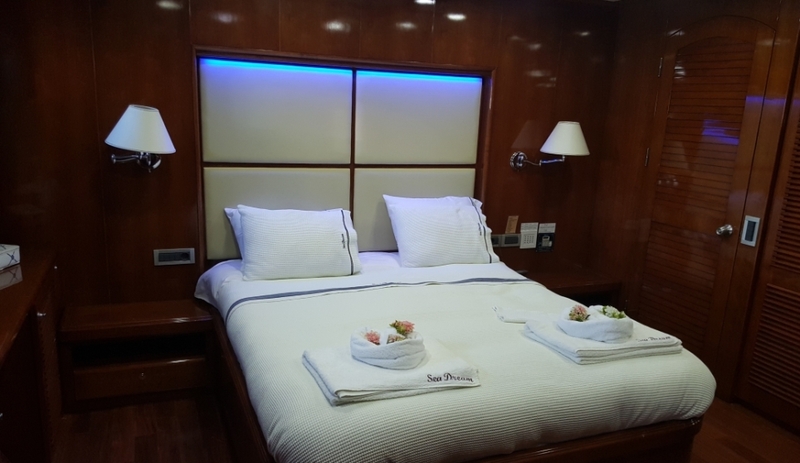 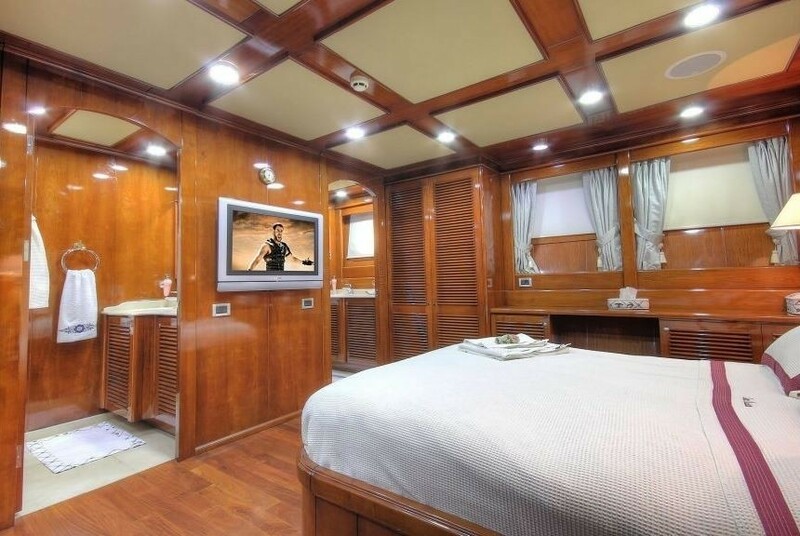 The master cabin is aft and full beam of the yacht, with a center lined queen size bed and sofa. 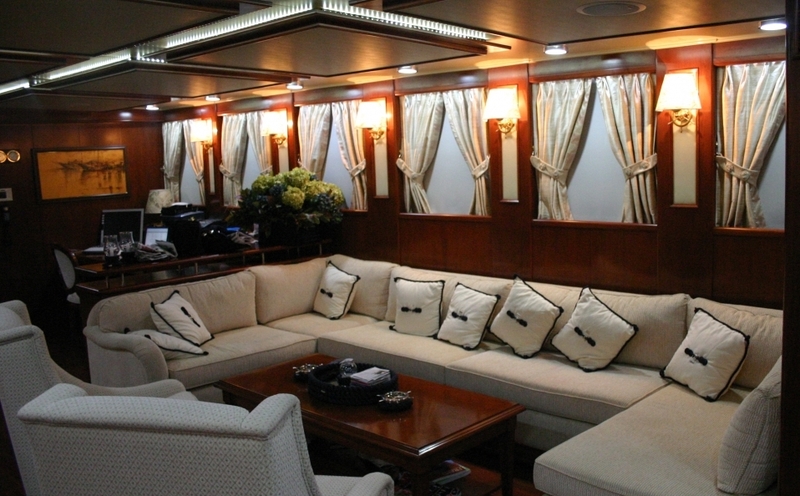 Forward of the salon is the VIP cabin to port, 3 double cabins and 1 twin cabin.